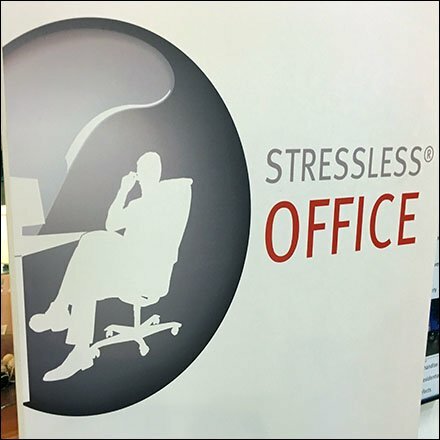 This Stressless Imagine Office Lifestyle Sell says luxury and comfort beyond the home. Maybe your work business sessions and strategizing could benefit from the comfort of Stressless recliners and chairs? The furniture presentation is far more businesslike in style. No relaxed, contemplative user image … after all this is a work environment. Browse the Stressless Imagine Office Lifestyle Sell in the gallery of images. Need this outfitting to help foster your business success? See in person at Dane Decor, Downingtown, Pennsylvania.